The culprits weren't undercover agents or veteran Al-Qaeda chasers, but instead "contractors"—of which the CIA has thousands, doing everything from terror analysis to servicing the machines that answer American spies' junk food needs. A CIA Inspector General's report on the candy cabal was released following a Freedom of Information Act request by BuzzFeed journalist Jason Leopold. Unsurprisingly for the CIA, the report is heavily redacted—no names, or sources and methods behind the investigation. But it shows that an unidentified contractor figured out how to get snacks without paying. The contractor figured out that if you disconnect the cable that connects the machines with FreedomPay's cloud-based payment systems, they would accept a card that has no more funds. 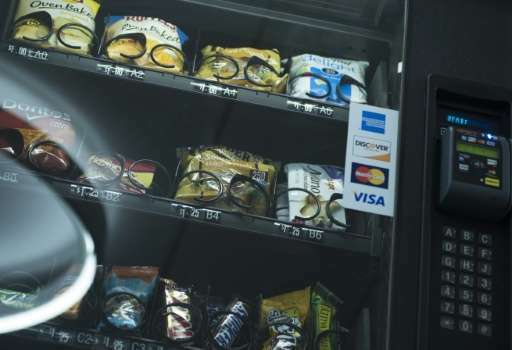 The culprit told friends who also disconnected the machines' cords to download snacks for free. The main perpetrator "admitted to originating the idea of how to effect the thefts based on his knowledge of computer networks," according to the report. Well I feel relieved now that I know the CIA will not even press charges against criminals caught in the act.